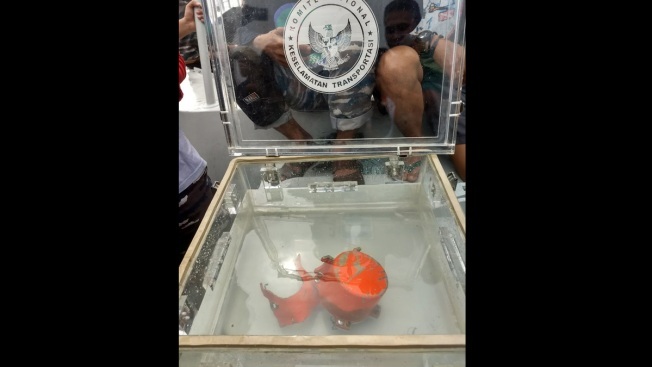 Pictures of the Lion Air JT 610 CVR recovered in Indonesia. A spokesman for the Indonesian navy's western fleet, Lt. Col. Agung Nugroho, said divers using high-tech "ping locator" equipment had started a new search effort on Friday and found the voice recorder beneath 8 meters (26 feet) of seabed mud. The plane crashed in waters 30 meters (98 feet) deep. The device is being transported to a navy port in Jakarta, Nugroho said, and will be handed over to the transportation safety committee, which is overseeing the accident investigation.